Chinese Vice Premier Han Zheng on Tuesday stressed solid efforts to deliver a good start to this year's economic and social development. Chinese Vice Premier Han Zheng (C), also a member of the Standing Committee of the Political Bureau of the Communist Party of China Central Committee, presides over a symposium after an inspection of the National Development and Reform Commission on February 12, 2019. 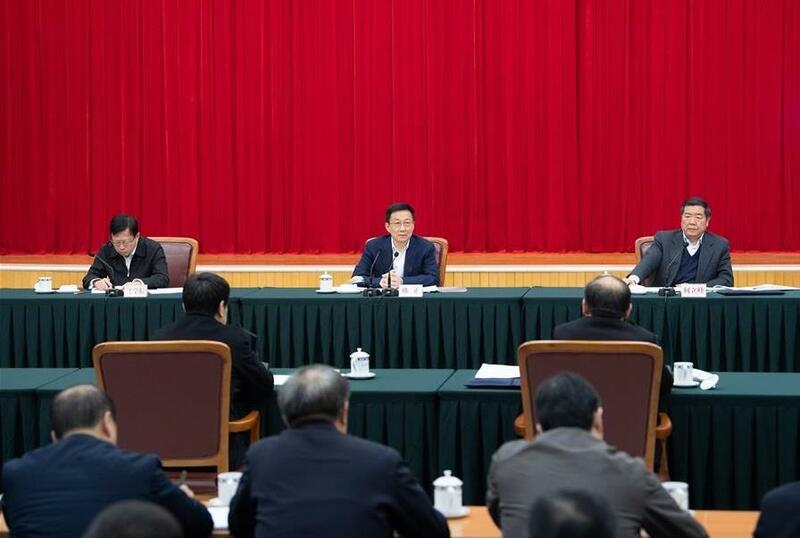 Han, also a member of the Standing Committee of the Political Bureau of the Communist Party of China Central Committee, made the remarks when presiding over a symposium after an inspection of the National Development and Reform Commission Tuesday. The NDRC should play its role in researching major strategies, coordinating major policies, pushing forward major projects and analyzing general trends to promote the economic and social development to deliver a good start this year, said Han. The NDRC should innovate and improve macro-control, implement policies of tax and fees reductions, stabilize investment, and promote major reform measures in sectors including finance, taxes, state-owned enterprises, electricity, gas and scientific and technological mechanism, Han said. He also called on the NDRC to monitor employment situation and take measures to stabilize employment. Han called for solid efforts to advance the Belt and Road construction, promote the Beijing-Tianjin-Hebei coordinated development, and push forward the Xiongan New Area construction with an open and market-oriented mechanism. Efforts should be made to promote high-quality development of the Yangtze River Economic Belt, the construction of the Guangdong-Hong Kong-Macao Greater Bay Area, the improvement of policy framework for the Hainan free trade zone, and integrated development of the Yangtze River delta area, said Han.